For just £10.00 you get all of the above. 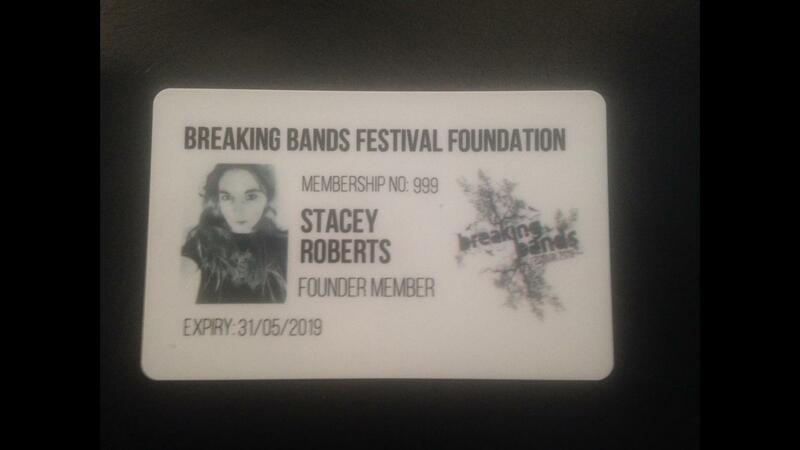 Membership card is validated from the day you collect it at Breaking Bands Festival 2019. If you buy online and do not collect your card, we reserve the right to cancel your membership as this is for active members of Breaking Bands Festival. If for some reason you cannot make it to this years festival but you are a regular, we will post your membership card out to you but we will only do this one year (ie, not every year). If you are not an attendee, then you cannot be a member.